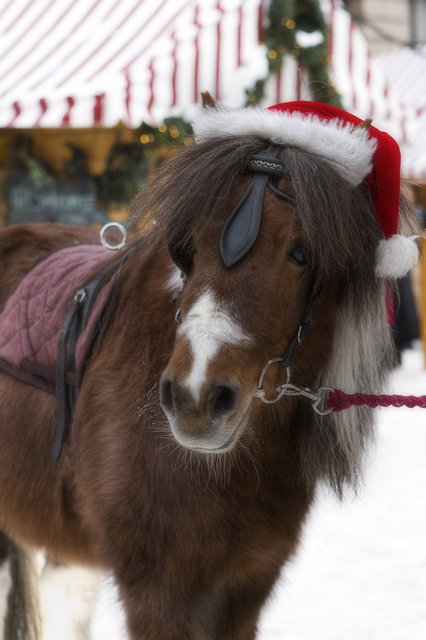 As the holiday season approaches, you're probably looking for some gift ideas for the many equestrians in your life. Your barn owner, trainer, and riding friends are probably all stocked up on hoof picks and horse books. Creative gifts put a unique spin on equestrian gift-giving; here are some great ideas to get you started. A gift certificate can provide your equestrian friends with a much-needed (or a luxurious) service. Consider giving a gift certificate for an equine photography session, an equine massage, an equine chiropractic session, or even a session of horse sitting services. You can get creative, too – what is your friend in need of? A day of barn cleaning services? A trailer ride to their next event? Gift certificates to popular tack stores and equine retailers are always appreciated, too. If you're looking for a gift that is a bit more personal than a gift certificate, consider a customized item. Monogrammed materials, such as blankets, coolers, polo wraps, saddle pads, and garment bags or totes are stylish, attractive, and serve a practical use for any horse owner. Engraved bracelets, necklaces, or halters also make touching tributes to one's horse. There are also a variety of customization options for stall nameplates, ranging from simple engraved plastic or metal plates all the way to artistically designed plaques which can feature a photograph or painting of the horse. If a horse person has a particular horse who is special to them, there is no limit to the many Vancouver gift baskets you can come up with for them. Equine artists can help; consider giving your friend a bracelet woven from their horse's tail hair. A commissioned portrait of their favorite horse can become a treasured gift. If a full portrait is too much, there are many variations you can commission, including Christmas ornaments, welcome signs, model horses, and mugs, all customized with their horse's likeness. Putting together a homemade gift basket for a friend can be fun, and a basket provides your friend with all sorts of great equine goodies. Consider practical items like winter riding gloves, hand warmers, bit warmers, liniment, and horse treats. Then liven the basket up with some human comforts that any equestrian will appreciate like chocolate, hand lotion, lip balm, bath salts, and maybe even a bottle of wine. Take your friend's interests and needs into account when coming up with a creative gift idea. If you're still stuck, try heading to your local tack shop for some inspiration.